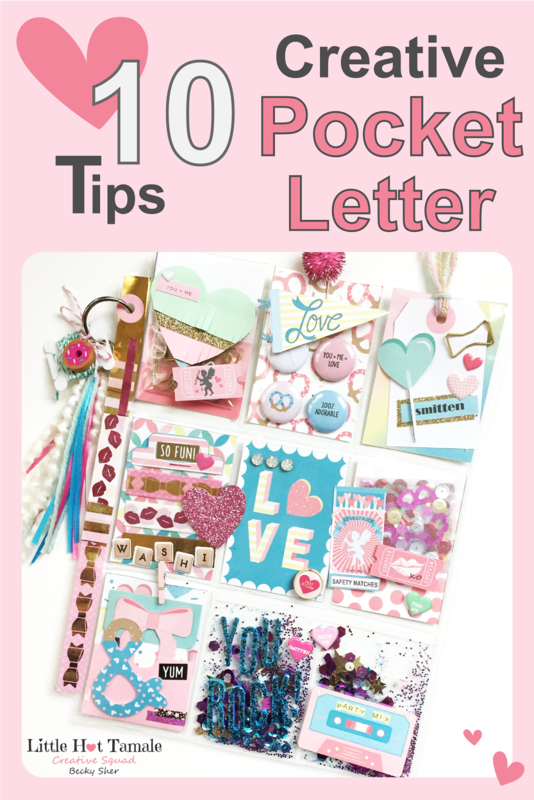 10 Creative Pocket Letter Tips! Pocket letters don't have to be fancy to be amazing? But if you have a few tricks up your sleeve, you can do a lot of fun stuff in nine little pockets. 1. 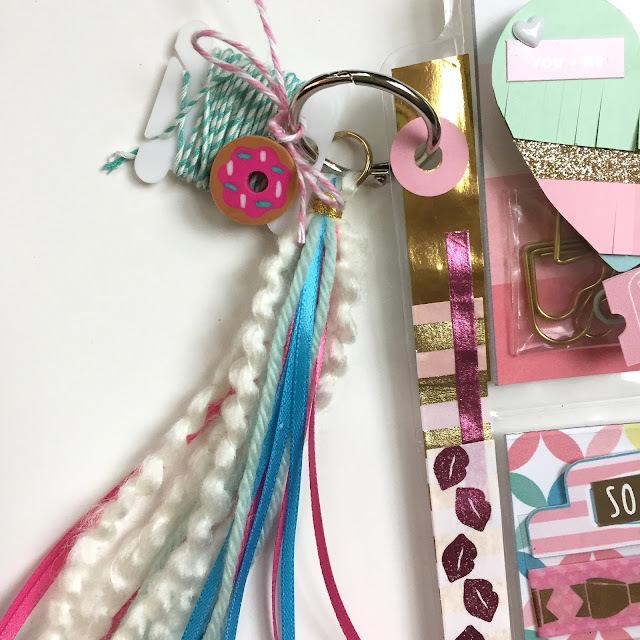 Use a binder ring to add a few extra elements or goodies to the edge of your letter. A tassel made from ribbon or yarn looks extra festive and your pal can use it later to decorate her planner, if she uses one. Wrap a sample of twine or washi tape on a plastic bobbin (find them in the embroidery section of the craft or fabric store". I also made a little charm from a doughnut eraser -- I screwed a tiny eye hook in the top. 2. An assortment of fun paper clips makes a cute gift to your pen pal. I always send some of my favorite gold paper clips? I stashed them in a tiny plastic bag and then hid them with some cute embellishments. 3. Everyone loves to receive flair buttons in happy mail. If you don't have a button maker, you can use epoxy stickers to make flair, or buy sets from sellers on Etsy. Keep an eye out when you're shopping -- flair is everywhere right now, even at the dollar store. Sometimes the backing paper wants to pop out because the buttons are chubby, so I added a paper clip at the top to keep it in place. I just glued an inexpensive craft store pom pom to a gold paper clip. 4. I love to include tags in my pocket letters. I use removable glue dots to attach them to the backing paper, so they don't wiggle around, but my pal can still use the tag if she wants. If you want, you include "mail tag" questions on the back of the tag for your en pal to answer. Or she can use it next time she gives a gift. 5. WASHI! 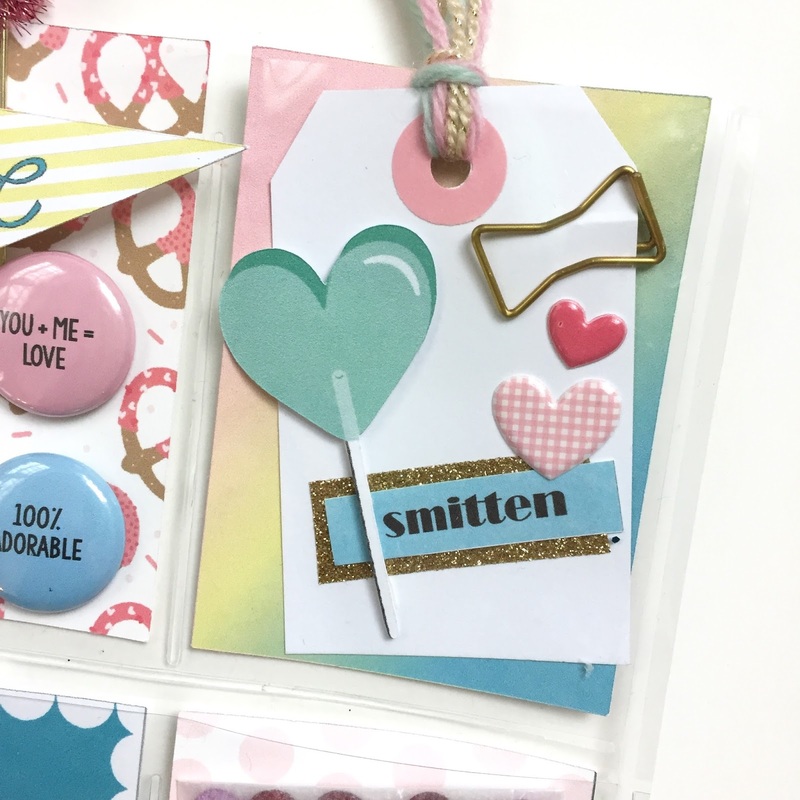 Save pieces of clear plastic from the packaging of your craft supplies (stickers often come on clear plastic backing). I've used the plastic "window" from the front of a box of pasta! Cut the plastic to size, and wrap with some samples of fun washi. I stapled one of the tabs from the "Sweet Life" collection to the top of my plastic piece for some extra pizzazz. 6. Don't be afraid to use embellishments on the OUTSIDE of your pockets. I use strong double-sided tape or foam dots to attach elements. And remember, it's OK to cross over pockets in the same row (don't cross vertically if you're going to fold your letter for mailing). 7. Create a little pocket to stash more goodies for your pen pal. 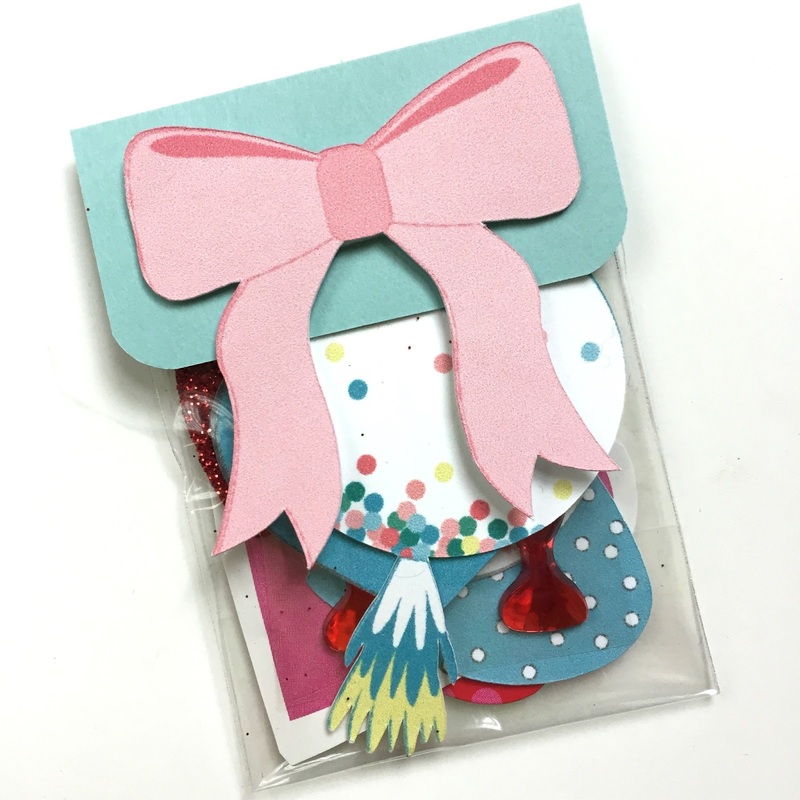 I made a little goodie pack with stickers and more ephemera from the "Sweet Life" collection. 8. Shaker pockets make everything better! You can use a Fuse tool to seal your pockets, but if you don't have one, narrow double-sided tape works just as well. 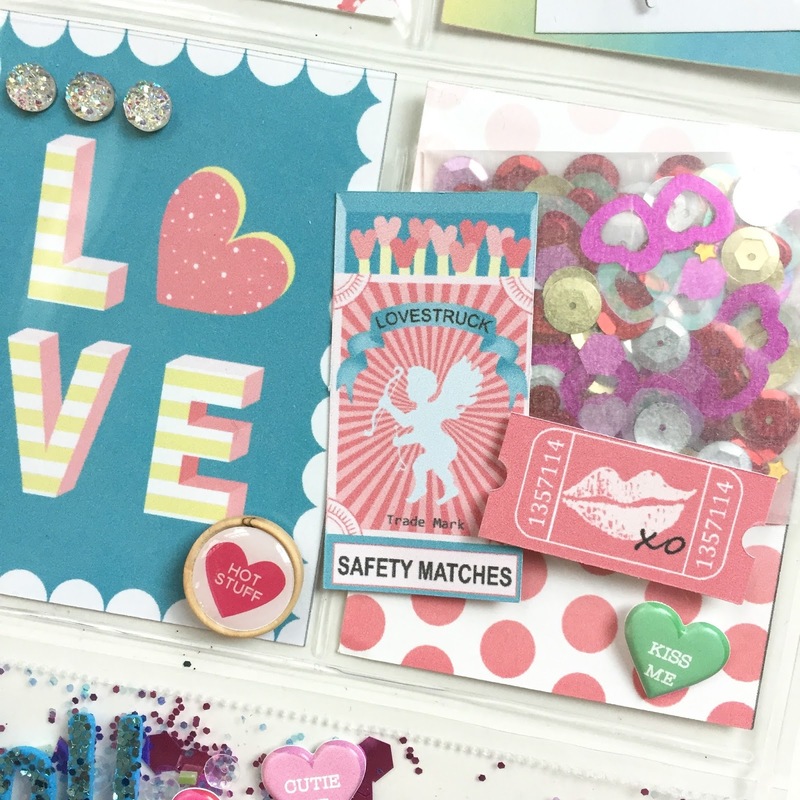 You can even seal with washi tape, so your pal can re-use the sequins and confetti. 9. It's OK to cover up part of your shaker pocket -- it adds a little extra interest. I absolutely love this cassette tape, so I had to use it here with the words "You rock!" 10. The last thing I do is cover the edge of my letter with washi tape. This just keeps it from looking quite so much like an office supply. I like to use little bits of different tapes, but you could use one long piece, of course.